Keeble Gateway Academy will be part of Elevate Multi Academy Trust which has been established to continuously improve education provision across Knaresborough and Thirsk in North Yorkshire. 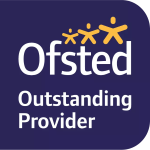 The Trust comprises Meadowside Academy, Aspin Park Academy, Knayton Church of England Academy, Topcliffe Church of England Academy, Sowerby Academy and Carlton Miniott Academy. In addition, Meadowside is the lead school of North Star Teaching School Alliance. Improvement through professional partnership and collaboration.